The Program Directors 101 workshop will take place in Alexandria, VA. Program Directors 101 is designed to help new PDs increase their knowledge and develop the core skills necessary to thrive as the director of a PA program. The workshop adheres to PAEA’s mission by focusing on the enhancement of participants’ knowledge and skills in the areas of leadership, innovation, and excellence in PA education. Through a variety of dynamic sessions, participants will be provided venues for learning, skills development, networking, and mentoring. The workshop is designed for program directors and associate directors with fewer than two years in their position or fewer than five years in PA education. 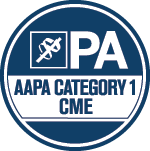 This activity has been reviewed and is approved for a maximum of 23.50 AAPA Category 1 CME credits by the AAPA Review Panel. PAs should claim only those credits actually spent participating in the CME activity. This activity was planned in accordance with AAPA CME Standards for Live Programs and for Commercial Support of Live Programs. The 2018 Program Directors 101 workshop takes place in Alexandria, VA, from Saturday, July 14 to Wednesday, July 18. Saturday, 7/14: 5:00 – 8:30 p.m.
Sunday, 7/15: 8:00 a.m. – 7:30 p.m.
Monday, 7/16: 8:00 a.m. – 8:00 p.m.
Tuesday, 7/17: 8:00 a.m. – 7:30 p.m.
Wednesday, 7/18: 8:00 a.m. – 2:00 p.m.
Once you register for the workshop, PAEA will make hotel reservations in your name for Saturday, July 14, until Wednesday, July 18. Room and tax charges will be placed on PAEA’s master bill. Hotel incidentals such as pay-per-view movies or room service for additional food and beverage will not be covered. Upon check-in, the hotel will request a credit card for any additional charges and incidentals. If your arrival or departure dates differ from those listed above, please notify us at workshops@PAEAonline.org. Ronald Reagan National Airport (DCA) is located 3.3 miles from the hotel. Upon arrival, you may contact the hotel at 703-549-6080 to request their complimentary shuttle pick up, available Monday through Sunday, 7:00 a.m. – 11:00 p.m. You may also take a taxi for an estimated fare of $25. Your return flight departure time should be made no earlier than 4:30 p.m. on Wednesday afternoon. If you are arriving by train, you may arrange your travel to Amtrak/VRE Station or Union Station (WAS). Amtrak/VRE station is just over 1 mile or a 10-minute drive from the hotel location. The estimated taxi fare is $10. Union Station is 9 miles or a 30-minute drive from the hotel location. The estimated taxi fare is $45. Public transportation via the Metro/bus is also available. See additional travel directions from the hotel. The hotel is located at 480 King Street in Alexandria, Virginia. If driving, you may park in the hotel garage for a fee of $32/day. Payment can be made by credit card or check. Full payment must be received to confirm your registration. Refunds/Cancellation Policy: Cancellation requests processed before June 22 will receive a full refund minus a $100 administrative fee. Requests submitted after June 22 will not receive a refund. “No shows” will be charged the full registration amount. Refunds/cancellations are to be requested by the attendee through the registration site using the attendee’s confirmation number. An email will be sent to confirm the request.